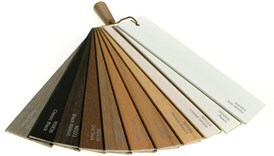 Choose the colour of your new plantation shutters from the comfort of your own home. Our FREE shutter sample pack contains our six shades of white and off-white colours, while we also include a useful measuring workbook to make sure you include all the details you need when measuring your windows for shutters. Your handy measuring workbook is also included.